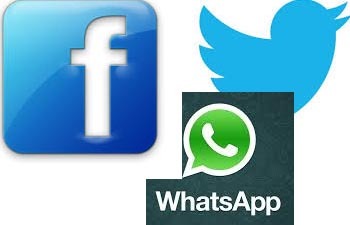 New Delhi, Aug 31 (IANS) As most of us spend a considerable amount of time on various digital platforms -- Facebook, Twitter, Google+, Instagram, WhatsApp and the like -- a pertinent question now arises: What happens to our digital possessions once we die? All those unforgettable personal photos, family videos and friendly posts acquired over a period of time will either be deleted or kept "frozen" unless we have a digital heir who can preserve those precious moments and gift those to future generations in an external hard disk or pen drive. "The said heirs can ask the digital/social media companies to get access after giving the necessary proof. Invariably, the service provider may not be inclined to give such access without any requisite order from the court of competent jurisdiction. This could mean getting a succession certificate from a court of competent jurisdiction which could be a time-consuming process," explained Pavan Duggal, one of the nation's top cyber law experts. According to Duggal, also a Supreme Court advocate, Indian cyber law has not even touched upon -- let alone dwelt on the nuances of -- the issue of one's post-death digital life. "Complicating the entire matter is that the Indian cyber law is not applicable to wills or testaments. This has created huge confusion. The ground reality is that people have stopped waiting for the law to change. Instead, they have come up with their own digital wills which provide various methodologies for devolving their digital assets and information to their heirs after their death," Duggal told IANS. "It is pertinent to note that India does not have a dedicated law on digital inheritance which is, indeed, unfortunate, given the rapid adoption of and reliance on digital data by young Indians," Duggal lamented. Facebook will "memorialise" your account and allow you to choose a "legacy contact". No one can log into a "memorialised" account. According to Twitter, "In the event of the death of a Twitter user, we can work with a person authorised to act on behalf of the estate or with a verified immediate family member of the deceased to have an account deactivated." The micro-blogging site, however, added: "We are unable to provide account access to anyone regardless of his or her relationship to the deceased." "Digital signatures/impressions generally have a validity/expiry date which require a yearly renewal and they are also equipped with a unique combination of passkey so even if someone has the digital signatures they must know the access key to use that," noted Lucknow-based social media analyst Anoop Mishra. According to statistician Hachem Sadikki from the University of Massachusetts, Facebook will become the world's biggest virtual graveyard by the end of this century as there will be more profiles of dead people than of living users. "Facebook, which currently has 1.71 billion users worldwide, will turn into the world's biggest virtual graveyard by 2098," Sadikki claimed. The law, however, is silent on this not just in India but abroad too. Several US states have been debating the question of whether families can access someone else's digital assets after they die. "The law has to instrinsically recognise that digital data and information, as also aspects pertaining to digital life, are integral components of our life and the law must provide for seamless inheritance of digital data," stressed Duggal. "All eyes are on the governments, including in India; they must come up with requisite legal frameworks to provide for seamless and efficient digital inheritance for the people," Duggal asserted.